The UOWD MBA provides students with a truly global network and unlimited opportunities to increase their cultural mobility. UOWD’s international mix of students and faculty gives students a crucial advantage in today’s competitive marketplace. 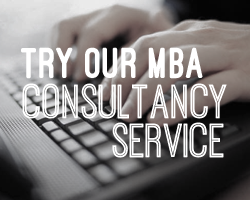 The rigorous and practical MBA curriculum is delivered in a flexible 3 semesters per year, 12 subject schedule. Projects and teamwork are a key to developing the skills needed to become a global business leader. The UOWD MBA is intended for working professionals with at least two years of work experience after graduation. The UOWD MBA is designed to equip students with the strategic and operational knowledge and skills to enable students to face the challenges of the ever changing business world. For more information about Master of Business Administration (MBA), please submit an information request below and the school will contact you with further information. a recognised Bachelors degree (or equivalent) in any field with a minimum GPA of 3.0 on a 4.0 scale or equivalent. The Master of Business Administration Postgraduate degree program (MBA) seeks to educate graduates so that they are able to utilise the knowledge attained to promote and enhance their managerial career. In addition to this, the degree program is structured in a manner whereby experienced managers with relevant professional experience acquire additional knowledge and expertise in global management issues. All courses within the program are designed for a rapidly changing world with innovation, market-relevance, flexibility and an international focus at their core. The program attempts to provide candidates with the necessary skills and competencies to manage effectively in a challenging and changing global environment, and attempts to prepare graduates for careers in management positions in both the public and private sectors. Prepare students to become effective managers. Encourage students to see how new information and theory will apply to their current or future roles. Encourage students to enquire, research and synthesize information in order to understand other perspectives. Provide students with academic direction and career advice. Provide students with a level of competency in the use of technology in business. Offer students a range of activities so each individual has the opportunity to use a mix of learning styles. Develop a range of contemporary skills and knowledge and an opportunity to apply these in project work or applied research. Provide a firm grounding for students wishing to pursue further education or professional programs. The Master of Business Administration (MBA) tuition fees are currently AED 82,200.